Does this health violation mean a squeakquel is on the way? 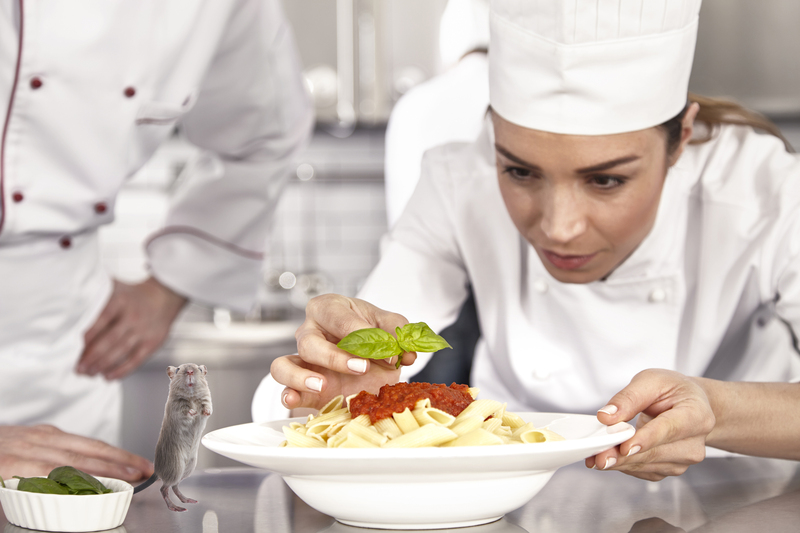 Someone better phone up Alfredo Linguini and change into their kitchen whites: An Italian restaurant in downtown Coquitlam was recently found to be “infested, beyond the point of control” with vermin, according to Vancouver Coastal Health. Patrons of Liam’s Pasta Bar, a staple in authentic, local Italian cuisine, were delighted to hear about the indefinite closure, immediately drawing parallels to the beloved 2007 animated film Ratatouille. “I wonder if Remy’s in there, cooking up some of his signature dishes,” Claire Fenton told the Other Press, as she clambered against the restaurant’s windows, eager to catch a glimpse of the innovative rat-turned-sous-chef. Fenton was among dozens of other diehard Pixar fans that immediately flocked to Liam’s Pasta Bar after the closure was announced last week. Several tents have since been erected on the sidewalk outside of the restaurant, with people saying they won’t leave until they witness the adorable rat chefs for themselves. Coquitlam resident Sam Smith spent the night outside of Liam’s Pasta Bar, though he admits he’s never even seen Ratatouille. “My niece is a really big fan of the movie, and her birthday’s coming up,” Smith explained to the Other Press, while holding a rolled-up poster. “So I bought this Ratatouille poster, and I’m hoping the rats can sign it for her. Ratatouille follows the story of Remy, a young but resourceful rat with a knack for flavours and cooking. Through happy coincidence, he teams up with an inept garbage boy (Alfredo Linguini) to create signature dishes that are a hit all around Paris. After Vancouver Coastal Health’s damning report, legions of Pixar loyalists descended onto Liam’s Pasta Bar, eager to catch a glimpse of the next unlikely chef duos turning the Parisian restaurant scene upside down. Even Michael “Iron Spoon” Orthner, infamous food critic for the Tri-City News, was chomping at the bit, eager to have his icy heart melted like Anton Ego, the restaurant reviewer from Ratatouille. “I’m ready to be transported back to memories from my childhood via the sense of taste,” declared Orthner, wondering what dish the rat colony would whip up to help conjure emotions long ago lost, only present in Orthner’s now-distant boyhood. The infestation has also sparked rumors that Pixar is gearing up for a Ratatouille 2, and that this whimsical health and safety violation is just a sneak peek at more magic to come. So far, Disney has failed to comment on the story, but it’s also become standard practice for their films to be shrouded in secrecy. With four of the five upcoming Pixar films untitled, it’s possible for a Ratatouille “squeakquel” to scamper into their schedule! Let’s hope you don’t have to wrestle a pack of rats to get a reservation at Liam’s Pasta Bar when it finally reopens for business—might we recommend trying the ratatouille?